Queen – Doing All Right. Publicat pe 14 mai 2015	de Cristi M.
By the early 1980s, Queen were one of the biggest stadium rock bands in the world, with „Another One Bites the Dust” their best selling single, and their performance at 1985’s Live Aid is regarded as one of the greatest in rock history. In 1991, Mercury died of bronchopneumonia, a complication of AIDS, and Deacon retired in 1997. Since then, May and Taylor have occasionally performed together, including a collaboration with Free and Bad Company vocalist Paul Rodgers under the name Queen + Paul Rodgers which ended in May 2009. Since 2011, May and Taylor have collaborated with vocalist Adam Lambert under the name of Queen + Adam Lambert. In November 2014, Queen released a new album, Queen Forever, featuring vocals from the late Freddie Mercury. 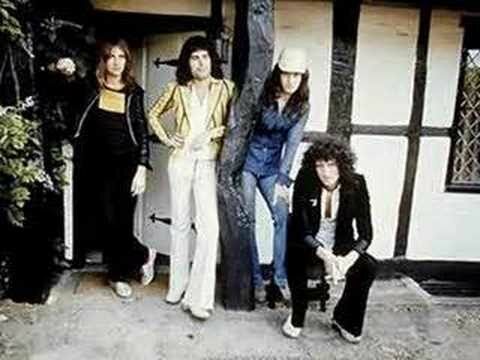 2 răspunsuri la Queen – Doing All Right.